In celebration of the 75th annual Tulip Festival, a commemorate quilt was designed and created by members of the Sioux Prairie Quilt Guild. 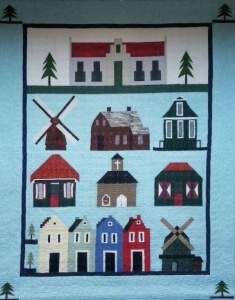 The quilt, named “Our Roots,” features several buildings of Dutch architecture and two windmills, designed after buildings in Orange City and the Netherlands. It is sized at 60 inches wide by 75 inches in height. The custom quilt blocks were created by Linda Feikema, Kymberly Pease, and Nancy Zeutenhorst, members of the Sioux Prairie Quilt Guild. The machine quilting was completed by Terri Vanden Bosch, also a member of the Sioux Prairie Quilt Guild. The commemorative quilt will be on display and available for purchase through a silent auction at the Quilt Show during Tulip Festival. The silent auction will run all three days of the Quilt Show, with a buy-it-now option available. The Quilt Show is organized by the Sioux Prairie Quilt Guild and will take place at Prairie Winds Event Center. The show will be open from 9 a.m. to 8 p.m. on Thursday, May 14, and Friday, May 15, and 9 a.m. to 6 p.m. on Saturday, May 16.  Admission to the show is $5 per person, and tickets are also available in the Tulip Festival Value Books.